Okay all you Pink Floyd fans, mystery lovers, and loon adorers, Dark Side of the Loon is out. 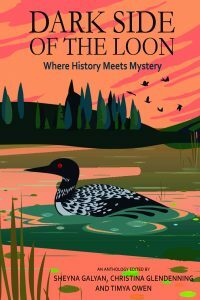 This collection of short stories is subtitled “Where History Meets Mystery.” All the stories are by Sisters in Crime members, and all have a connection to a Minnesota historical event. My story combines wind tunnel dancing and bison kill sites. I am so honored to be included in this collection. I hope the loon is calling to you. You can pick up your copy in paperback or eBook here. 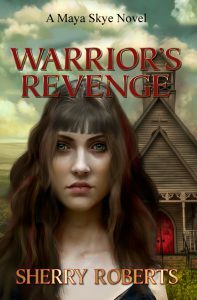 Maya Skye is back in a new adventure called WARRIOR’S REVENGE. This Minnesota mystery with a yoga spirit is book two in the Maya Skye series. Yoga teacher Maya Skye’s search for inner peace is regularly interrupted by mayhem. She won’t back down from a fight. 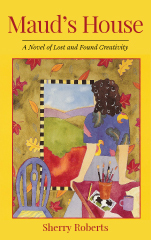 Her stories blend adventure, humor, Native American lore, and Zen attitude. Her adventures are perfect for you if you love mysteries with strong heroines and unforgettable characters. Or you love yoga. Or you just love Minnesota. Pick up your copy today. Available in paperback and ebook. Cupcakes for everyone. 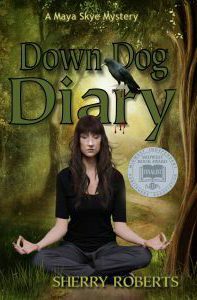 DOWN DOG DIARY was chosen as a SELF-e Select title in the Mystery category by Library Journal. 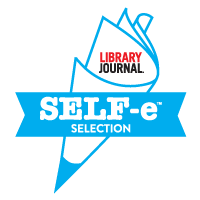 The SELF-e program is a new program by Library Journal to provide curated suggestions to libraries of self-published work. The goal is to connect indies, libraries and readers. This is a big deal for me. The big deal is curation, having a recognized trade publication give my book a 5-star thumbs up. When so many review places are closed to independent publishing, this program is a bright spot and I hope it encourages libraries and librarians to explore more independent work. For more info on the SELF-e program, click here. My books are about justice. As Martin Luther King Jr. said, “The time is always right to do what is right.” So, my characters struggle with choices and with finding goodness and doing good when it is not always easy. We all want, most of all, inner peace and love. My wish for you is that you find both—and along the way, enjoy a good book or two. Read an excerpt from Warrior’s Revenge now. Read an excerpt from Down Dog Diary now. 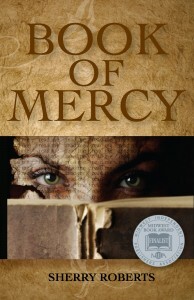 Read an excerpt from Book of Mercy now. Read an excerpt from Maud’s House now.